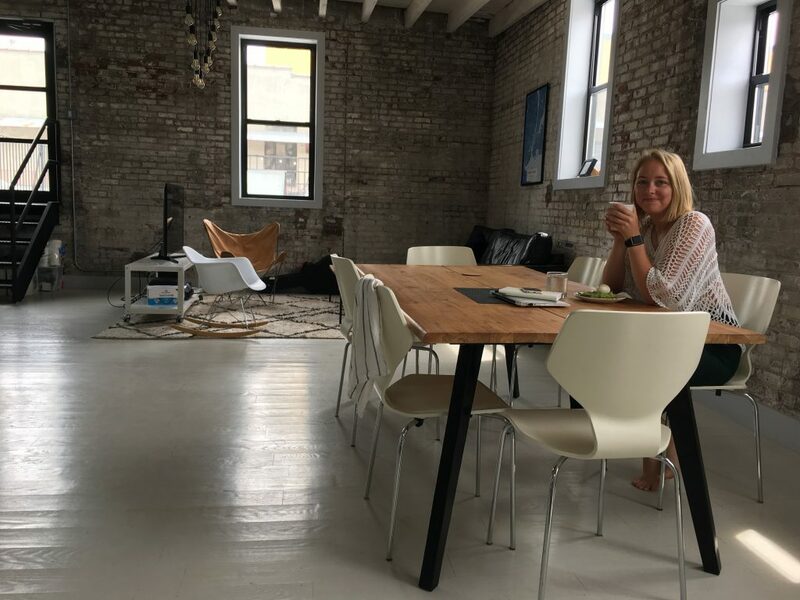 Meet Anna, Norwegian, traveler and entrepreneur currently residing in Outsite New York. Check out how she made her journey to digital nomadism - and why it doesn't suit her to be '100%' nomad too! Outsite: So, tell us about yourself! I'm Anna, 26 yrs old, and live in Oslo, Norway. I have a bachelors degree in Entrepreneurship and business, and I now run three business in very different ventures. I started out working for an exchange student company for four years, before I went back to school, and within a year I had founded my first company - another exchangestudent company, who sends students abroad for High School all over the world. A little later, I kind of started a webshop too, that sells planners, that I have designed from scratch. After success with that instagramaccount, I figured that more businesses could need help with their marketing on social media, for the SMB market, and Butterfly Media (Sommerfuglen Media) was established in March of 2018, and we are now eight people, some full-time, others part-time. A business that has just snowballed from the beginning. #Fun I have a passion for entrepreneurship, marketing and traveling, but I also do sports like snowboarding, waterskiing and I am a certified personal trainer. I have maybe too many interests and find a lot of things interesting. But most of all, I love meeting new people, hearing their stories and learn something new. I moved out of the apartment in June 2018, to be kind of nomadic for a whole year. My plan was to go all in nomadic, but I found out that to be in the nomadic lifestyle, you don't have to do it 100%. Therefore I have a base in Oslo, where my team works from our office. I do however have one or more travels planned for every month. I just got back from Outsite in Williamsburg. I guess it was my passion for traveling that inspired a lifestyle change. I have basically packed all my belongings away, and are now just living with my clothes, personal items, my mac and my phone. Everything else is stored away. I found Outsite on instagram, and the day after I resigned from my apartment. The most challenging part so far, is something that we could, can and must work out. Being the founder of these companies, I am dependent on my team to deliver, and they are really great too. But I find my presence important , so for me to work remotely is something we just have to figure out along the way, before my longest journey starts Mid January through end of March 2019. ‍How does Outsite fit into your current lifestyle? It is perfect, as it has all amenities that you need when you're traveling alone, as well as getting to know different people, with different backgrounds and stories. I think there's a way, just don't look for obstacles, look for solutions and possibilities. Even if it's part time - remember, you don't have to be nomadic a 100%. Catch up with Anna on her blog, or book your first trip to Outsite New York today!